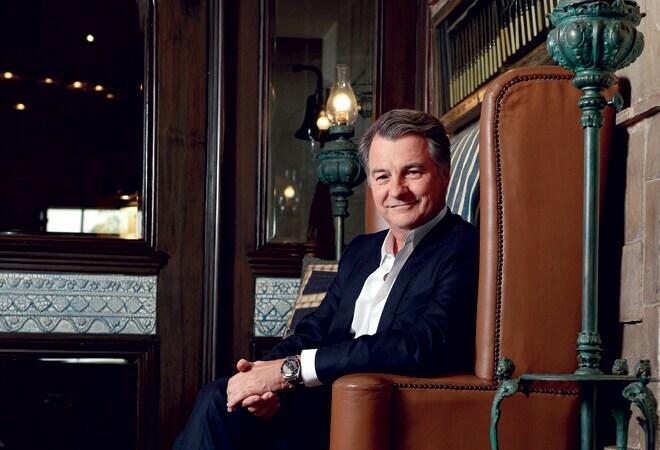 Andrew Stevens, Asia-Pacific editor of CNN, tells us what it takes to be the finest in the business. There are people who watch what's on the news, and then there are those who live it. Andrew Stevens, Asia-Pacific editor of CNN, belongs to the second category. Stevens has reported some of the most sensational incidents across the globe, from the Typhoon Haiyan tragedy in 2013 to the mysterious disappearance of the Malaysian Airlines MH370 earlier this year. BT More catches up with Stevens for a fleeting glimpse into his life and the values that define him. The most dramatic among the incidents I covered was the Typhoon Haiyan in the Philippines. One of the most powerful storms ever recorded, it spoke volumes on human tragedy, the impact on the community, and the fact that high-intensity natural phenomena like these were becoming increasingly common because of climate change and related factors. The other big stories I recall are the ones on the MH370 mishap, the ferry sinking incident in South Korea, and the recent pro-democracy protests in Hong Kong. Six years ago, we got delayed doing live shots at the Mahindra factory in the outskirts of Mumbai, and started off for our hotel a little late. However, as my colleagues neared it, they heard shots. The hotel was the Taj Palace, and the night was that of the Mumbai terror attacks. It was just dumb luck. If we hadn't been delayed at Mahindra, we would have been sitting around the hotel swimming pool, discussing the next day's shoot. As it happens, the terrorists had entered the hotel by climbing a fence and crossing the swimming pool, shooting everybody around it. We could have been among them. During the course of the Philippines tragedy, we were staying in the same hotel as a family rescued from the storm. They were on the ground floor while we were on the third and, quite unexpectedly, water surged into the bottom floor and trapped the family. They were screaming for help and, back then, I think it was a pretty clear choice to make. We intervened. I think that in instances like these, you should act the way your conscience tells you to; you can't stand by and do nothing. But you should also draw a line somewhere; you shouldn't become the centre of the story. It is not about you, and it shouldn't be about you either. The reason I came to Hong Kong in 1993 was because I wanted to cover its handover to China. Today, over 20 years have passed and I still stay there with my family. In my free hours, I swim a lot. That's the great thing about living in Hong Kong; it's got some beautiful beaches. I am also very fond of motorbikes, so much so that I am considering buying a Royal Enfield from India and shipping it back to Hong Kong. I read a lot, and at times go boating with friends. I listen to a broad spectrum of music, from Black Sabbath to Imagine Dragons. In 2011, I spent nearly two months riding an Enfield Bullet in India, going around Rajasthan and passing through Kolkata to reach Bhutan. I think the Enfield is a beautiful bike, and it has a great sound too. Years ago, I had gone to Kerala. I have been in Mumbai a lot, and a couple of times to Gujarat on work. I have seen a reasonable amount of India, but it's a big country and there's a lot more to see. Journalism teaches you to question everything. It teaches you to look into people, into situations. It makes you critical, but even then, it teaches you how to get on with people and extract information. However, while there's a lot of emphasis on getting things before the others, it's better to be second with news that's right than first with news that's not. In the end, all that matters is credibility.